Facebook generally has a more varied audience in terms of age, gender, and lifestyle than the other popular social platforms. On Facebook, an effective advertising strategy is to generate traffic to your site through a lead generation offer. However, for Instagram, user engagement is considerably higher. Over 4% of Instagram users engage with a brand’s post, while that number is only about 1% on Facebook. 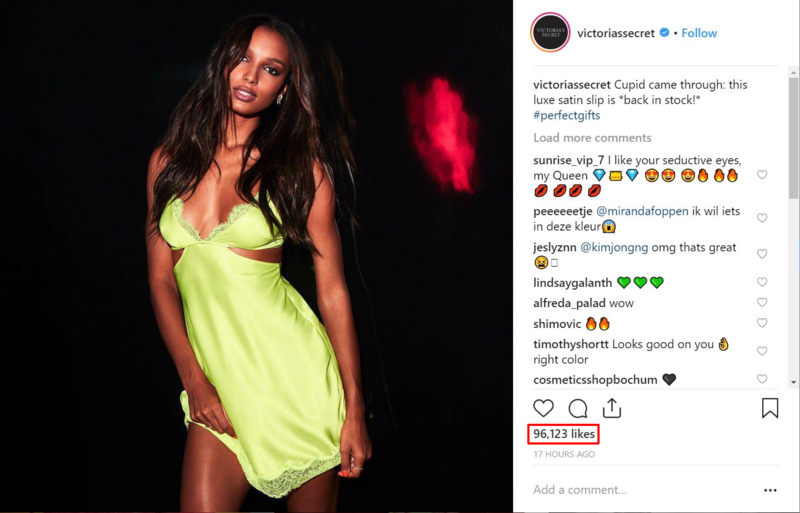 If your brand is active on both Facebook and Instagram, the best approach is to activate ad campaigns on both networks on a campaign-by-campaign basis. Facebook is one of the oldest social media platforms. It has a larger active user base compared to Instagram: Facebook has 2.07 billion monthly active users. This makes Facebook the number one social media platform when it comes to reach, so if you’re looking to increase brand visibility without targeting a specific age group, Facebook may be the right choice. Age. Target ads to people within an age range. Gender. Target ads to women, men or people of all genders. Languages. Target ads to users of certain languages. Detailed Targeting. Include or exclude people from an audience based on demographics, interests and/or behaviours. Connections. Include or exclude people from your audience based on connections to your Pages, apps or events. Custom Audiences. Custom Audiences are target audiences of people you already know. The groupings are created from information you provide or from information generated on Facebook’s products. You can create Custom Audiences from customer files, the Facebook pixel, the Facebook SDK, and engagement on Facebook. Instagram has 800 million monthly active users. This huge number of worldwide users makes Instagram a good bet for business and brand promotion. Instagram also has stronger organic reach, a quality the network is intentional about preserving with newer features like the ability to follow hashtags and a “Suggestions for You” section, which shows posts that your friends have liked. When it comes to engagement, Facebook doesn’t perform as well as Instagram. But it still has the second highest audience engagement rate among all social networks. That’s because… Yes, you guessed it. An undisputed fact about Instagram is that it has some of the most highly engaged users. On an average day, users share more than 95 million photos and videos. And these posts yield a total of about 4.2 billion likes in a single day. Just check out this example below of a post that was shared by Victoria’s Secret on both their Facebook and Instagram pages. As you can see, there’s a HUGE difference in engagement between the two with nearly 100k likes on Instagram getting around 2k likes on Facebook for the exact same post. So if you’re looking for high engagement on your content, Instagram is the place to be! Research has shown that there are more female than male users present on Instagram. According recent studies, 31% of women and 24% of men use Instagram on a daily basis. Similar research indicates that Facebook attracts adult users of all age groups. Just like Instagram, Facebook has more female users than male users. Sixty-six percent of male internet users and 77% of female internet users are using Facebook. Overall it has been found that advertisements on Facebook generate higher conversion rates than advertisements placed on Instagram. The average conversion rate from Facebook ads generally is around 4.7%. Using Facebook Pay-Per-Click (PPC) advertising is a great way to gain more traffic to your landing page with the ultimate goal of converting visitors into customers! According to a case study, traffic that came from PPC advertisements will convert 3.5 times better than social network traffic that doesn’t! As mentioned above, the conversion rate from advertisements on Instagram are usually lower, being 3.1%, than those on placed Facebook. However, since Click-Through-Rates on Instagram are 0.02% higher than on Facebook, more conversions might be possible as consumers become more familiar with your brand! Approximately, an average of 3.9% of website visitors came from Instagram advertisements. Ways to increase traffic coming from Instagram to your site could be done by adding ‘swipe-up’ actions in the Stories format or through directing traffic from ‘Story Highlights’ to related blog posts or articles. By running ads on both platforms, your campaign will be optimised. This will show which platform is getting most of the attention. Accordingly, you will be able to analyze which ad on which platform gets the most clicks, and at what cost. A study conducted by Facebook also revealed that content that does well on Facebook also works well with Instagram. With Facebook allowing you to manage both Facebook and Instagram ads, you just need to select an objective. The objective of your ad will automatically select the right templates you need to run your ads on both platforms. Another good reason to run your ads on both platforms.